Just minutes before SpaceX began fueling Falcon Heavy for its commercial launch debut, NASA announced that the company had won a contract for its Double Asteroid Redirection Test (DART) mission to be launched by Falcon 9 for the low cost of $ 69M . 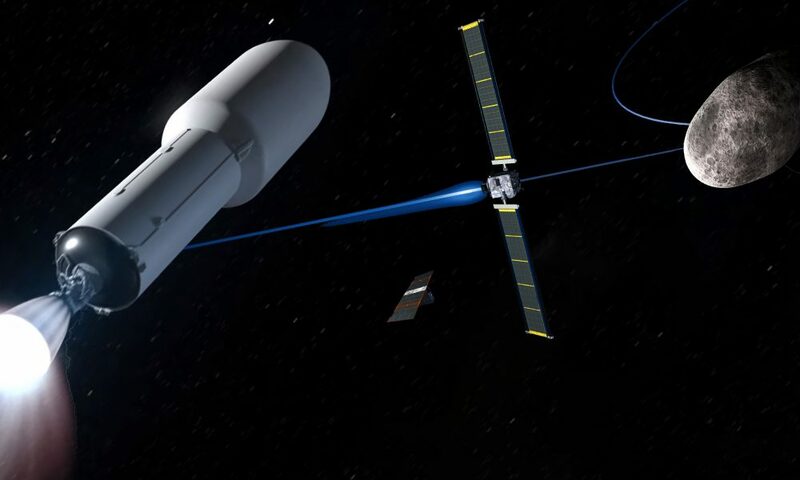 Designed to cost less than $ 250M total, the DART mission will aim to be as light and fast as possible, using a dedicated Falcon 9 to send the ~ 600kg (~ 1300 lb) spacecraft and its Italian companion cubesat on ~ 11 million kilometer (~ 7M mi) journey to the binary asteroid Didymos. The ultimate goal of DART is to effectively prove both technologies and physics that could be used in the future to defend Earth from asteroids known to be on a collision course. Estimates from the spacecraft's mission managers expect the Didymoon's orbit to be shifted by about 1% as measured by the time it takes to orbit Didymos-A, from ~ 11.9 hours to ~ 11.8 to 12.0 hours. This is a very small change but one that should be easily measurable by telescopes on Earth, despite the fact that Didymoon has been estimated to have a mass of approximately 3.5 million metric tons (about 7 million pounds) heavier than DART. In short, NASA is going to functionally bomb an asteroid moon to see if humans could be able to use kinetic impactors to gently 'boot' threatening space objects off of the offending trajectory years or even decades in advance. Despite the inherently destructive, single-use nature that DART's impact status gives, the current plans thankfully include an Italian cubesat known as LICIACube. The small copassenger will deploy two days before impact to fully exploit the scientific value of DART's demise with high-quality photos of the event and aftermath. 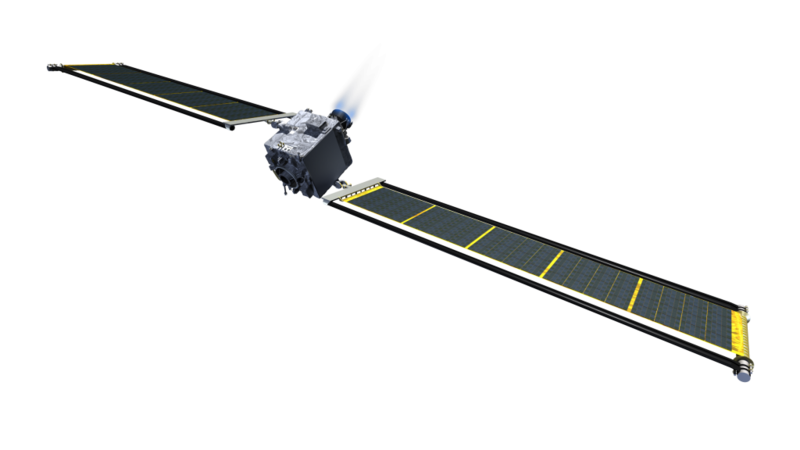 The LEA will be traveling with the same speed and thus will not be able to enter orbit around the asteroid system, but the European Space Agency (ESA) mission known as Hera plans to do just that in the mid-2020s to better characterize Didymos and crater (hopefully) made by DART. Aside from the mission itself, DART serves as a technology demonstration platform for NASA. It will mark the first in-space use of the NASA-built NEXT-C ion thruster and powerpack as well as the first standalone use of the Roll-Out Solar Array (ROSA) deployment mechanism tested on the ISS). Even more intriguing is a proposed transformational solar array planned at one point for DART, a flexible combination of advanced solar cells (~ 33% efficient) and mirror concentrators that could feed a spacecraft five times as much power for given solar array area and distance from the sun. It's unclear whether this will make it into DART's final design but it still appears to be on the table as of January 2019. According to the contract manufacturer, DART's solar array will produce ~ 6.6kW, while rough estimates suggest that the solar array will have an area of ​​16 m 2 (170 ft 2). Relative to the simplicity of the deployment mechanism and the small size of DART (~ 600 kg total), this is an incredible amount of accessible power. Weighing just ~ 600 kg (~ 1300 lb) wet, DART could end up launching with additional copassengers on Falcon 9, although there is a precedent set by NASA's ~ 360kg TESS and Taiwan's Formosat tiny spacecraft dedicated launches. Additionally, it is possible that DART will launch on a flight-proven Falcon 9 Block 5 racket, given the likelihood that NASA will have certified flight-proven SpaceX vehicles for almost any launch by 2021.